, the City of New York’s first ever hackathon - an event where engineers meet to do collaborative programming. Held this past weekend at the entrepreneur campus General Assembly, the top prize at the hackathon was not money, but something even better: breakfast with Mayor Michael Bloomberg. To call redesigning nyc.gov a challenging task would be an understatement: Since its launch in 1996, nyc.gov has expanded from around 1,000 pages to over 500,000, covering every city agency and task force. The number of yearly visitors to City-run web pages (33 million, or 24 million for nyc.gov) is approaching that of visitors to Central Park (37 million), according to New York City’s Chief Digital Officer Rachel Sterne. Of course, over the course of 2 days, the goal was to generate ideas and prototypes for the redesign. 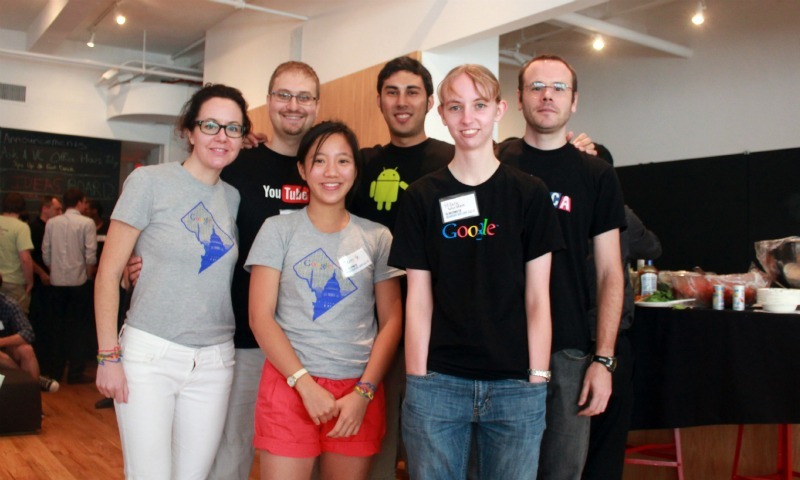 As a tech partner, Google demoed developer tools for Maps, YouTube, and Android, and held office hours for the over 60 participants from New York to Kansas to California. As teams formed, a few of us also participated as designers and developers. Less than 36 hours later, submissions were in, and the demos began. By and large, teams presented UIs that were search-centric, user-focused, and social. Some envisioned the new nyc.gov as not only making it easier to find information but also making it easier to connect with city officials and other New Yorkers. Participants also voiced their hopes for more machine-readable data and more APIs. After the judges deliberated, awards were presented in the categories of Best Use of Local, Best Use of Social, Best User Interface, Most Innovative, and Judge’s Choice. Moving forward, we hope that the New York City moves quickly in its redesign of nyc.gov and uses some of the new ideas produced this weekend. Hackathons organized by cities are not a new phenomenon - earlier this month, Google Chicago hosted an Apps for Metro hackathon with the City of Chicago - but there’s much more that can be done. Rachel Sterne, who worked to put together Reinvent nyc.gov, wrote about the advantages of city-led hackathon efforts. Perhaps NYC Digital’s slogan - “technology in the public service” - sums it up bests: by opening up access to more interesting, real-time data and and making the public sector more participatory, governments will be able to tap into engineering resources of its citizens and build a sustainable community of civic hackers. What do you get when you mix a city government that is prioritizing its digital presence with a homegrown, budding tech community? Reinvent nyc.gov, the City of New York’s first ever hackathon - an event where engineers meet to do collaborative programming. Held this past weekend at the entrepreneur campus General Assembly, the top prize at the hackathon was not money, but something even better: breakfast with Mayor Michael Bloomberg.